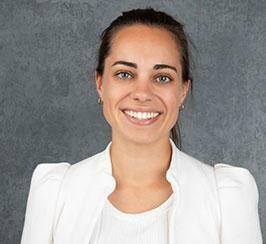 Léa Daulan is responsible for developing, implementing and monitoring ASL’s digital marketing strategy, primarily through social media, site optimisation, and content creation. As part of her role, Léa also manages ASL’s core product certification database, to ensure it supports ASL’s certification programs and wider business objectives. Léa has an international background, with bilingual fluency in English and French, a First Class BA in International Relations from the University of Montreal in Canada, an international exchange year at the National Taiwan Normal University, and an MSc in International Politics from Trinity College Dublin, Ireland. Léa also has a strong interest in sustainable development: she wrote her masters research on US environmental politics, has previously worked in communication for international environmental NGOs such as Surfrider Foundation, and was awarded an Outstanding Delegate Award in the United Nations (U.N.) Environment Programme Delegate as part of the National Model United Nations in New York. Léa was also selected to be a Young Delegate at the 2018 U.N. Winter Youth Assembly in New-York on the theme “Innovation & Collaboration for a Sustainable World”. Léa is enjoying settling in the booming Dublin’s technology hub and enjoys the great surfing that offers the wild Atlantic coast of Ireland.